BionicBob gives you TWO “Six Million Dollar Man” edits for the price of none. Get ready for some hairy Cyborg action! 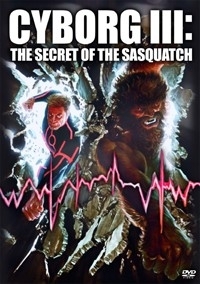 Cutting the classic two part SMDM episode “The Secret of Bigfoot” into a single seamless, escapist, popcorn fun flick. While with the “7MDM”, boil the 50 minute episode down to it’s core essence, an examination of what it takes to be a HERO, and watch two cyborgs beat the crap out of each other! To all the Bionic Believers! ’nuff said! In the San Andreas mountains, Colonel Steve Austin comes face to face with the legendary creature known as Bigfoot! 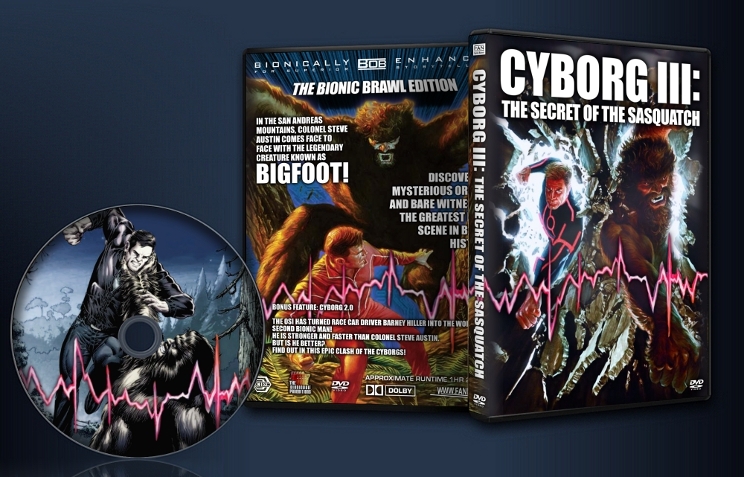 Discover his mysterious origins and bare witness to the greatest fight scene in Bionic history! The OSI has turned race car driver Barney Hiller into the world’s second Bionic Man! He is stronger and faster than Colonel Steve Austin. Find out in this epic Clash of the Cyborgs! –trimmed a scene where you can see a production member in the background!!! This was loads of fun for me! Sasquatch was a lot of sweet action and sci-fi and Cyborg 2.0 was a pretty cool little mini-episode. Bob’s editing here is pretty much top quality as well.